Boost students’ confidence with clear and concise revision notes and practice questions – matched to the new GCSE AQA A specification, covering all content perfectly. Stimulate proactive learning by using after each section, or hand out at the end of study. Overviews and Key Points jog memory and pinpoint essential info. Keywords highlighted and clearly explained. Frequent sources of wisdom and authority reflect new spec focus – great for answering 5-mark questions. 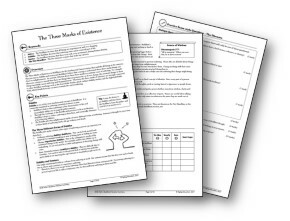 Exam-style Questions for each topic engage students with their revision. Student Checklists and Mark Schemes with indicative content help students gauge progress – great for targeted revision and self-marking.